SoftRAID allows you to create and manage disk arrays to increase performance and reliability. 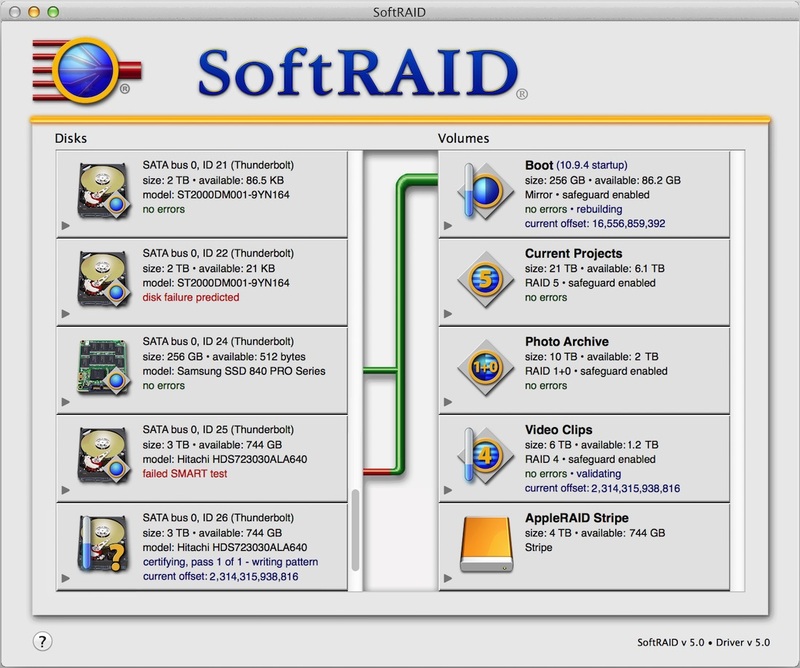 SoftRAID allows the user to create and manage RAID 4 and 5 volumes, RAID 1+0, and RAID 1 (Mirror) and RAID 0 (Stripe) volumes. SoftRAID also provides “predictive disk failure”, where users are alerted to potential disk failures even before they fail. SoftRAID’s intuitive interface and powerful feature set make this utility a must-have for any OS X Server admin, “Pro” user, photographer, digital-video editor, or desktop user who wants more reliable backup for his computer.